The Department of Gastroenterology at the Preventicum Diagnostic Clinic deals with the diagnosis of diseases of the gastrointestinal tract and liver, which often lead to severe clinical pictures and unclear symptoms. The department is headed by Prof. Dr. med. Philip Hilgard. The specialists of the department explain the causes of diseases of the digestive organs in detail. In addition, the department offers comprehensive prevention of bowel cancer and a series of specialized consultations for diagnosis and treatment of specific diseases. The main diseases that can be diagnosed by the department are: diseases of the gastrointestinal tract of unknown origin, increased liver function, chronic liver diseases, infections caused by Helicobacter, hepatitis, hemorrhoids, irritable bowel syndrome, food intolerance, diseases of the pancreas and biliary tract. The graduation from the Faculty of Medicine in 1995 was followed by doctoral studies in the Department of Internal Medicine I at the University Hospital Mainz under the direction of the former director of the department Prof. Dr. med. Karl-Hermann Meyer. During this time, Prof. Hilgard showed his interest in chronic viral infections of the liver. At that time, this area was not sufficiently studied. Thanks to his various preparatory scientific works, he received a two-year scientific fellowship of the German Research Foundation in 1999. In his studies, he is looking for mechanisms for contracting hepatitis C virus (HCV) in the famous Liver Center of Albert Einstein Medical College in New York. In 2002, he works in the Department of Gastroenterology and Hepatology at the University Hospital Essen under the guidance of Prof., Dr. med. Guido Gerken. In 2004, in addition to HCV infection, the professor begins the study of hepatocellular carcinoma in the West German Center for Stomach and Bowel Cancer. In the framework of this research, Prof. Hilgard focused on new concepts of tumor treatment, in particular, internal radiation therapy of the liver, selective internal radiation therapy. This research resulted in the registration of the biopreparation Sorafenib. At the same time, he continued clinical practice in the Department of Internal Medicine and Gastroenterology at the University Hospital Essen. In 2006, Prof. Hilgard became specialist in internal medicine. Special areas of his clinical activities include endoscopic examinations, interventional treatment of bile ducts, complications of biliary duct disease and treatment after liver transplantation. In 2006, the professor defended his doctoral thesis on "The interaction of the virus with the host cell during the initial stage of hepatitis C". In 2008, he became the Chief Physician of the Department of Internal Medicine and Gastroenterology at the Evangelical Hospital Mühlheim (EKM). Here the doctor carries out a wide range of treatments in the field of internal medicine, diseases of the gastrointestinal tract and liver. 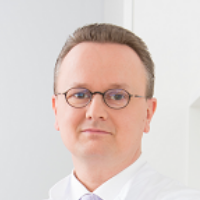 Since 2010, Prof. Hilgard has been treating pancreatic diseases together with Prof. Heinz-Jochen Gassel (a colleague in the field of surgery), (since 2012, the Evangelical Hospital Mühlheim has been the supra-regional Center for Pancreatic Cancer certified by the German Cancer Society). Currently, Prof. Hilgard pays special attention to pancreatology. Prof. Hilgard not only deals with scientific and clinical activities, the publication of scientific works, but also takes an active part in the education of medical students (e.g., PJTraining). For his colleagues in the hospital, he annually organizes a practicum on "Mühlheim Hospital’s Innovations in Internal Medicine".